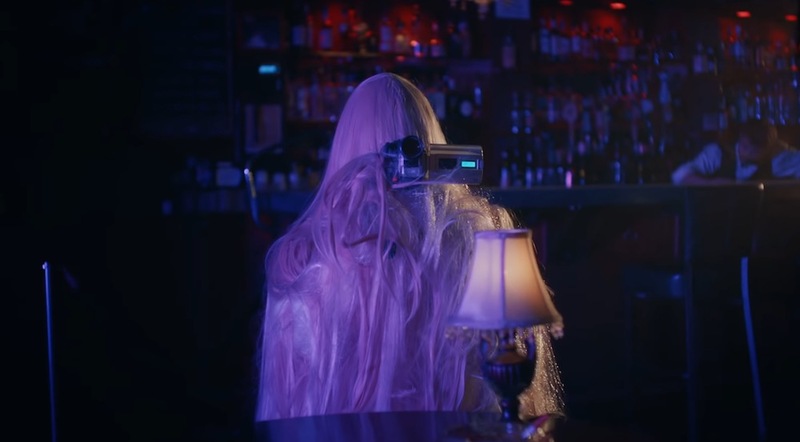 Home > Archive > MILLICENT HAILES x TERROR JR.
Over the course of three videos (last year’s “Heaven Wasn’t Made For Me,” and the recently released “Pretty,” and “Terrified,” seen above), music video mastermind Millicent Hailes has expanded the visual universe of the enigmatic Terror Jr. 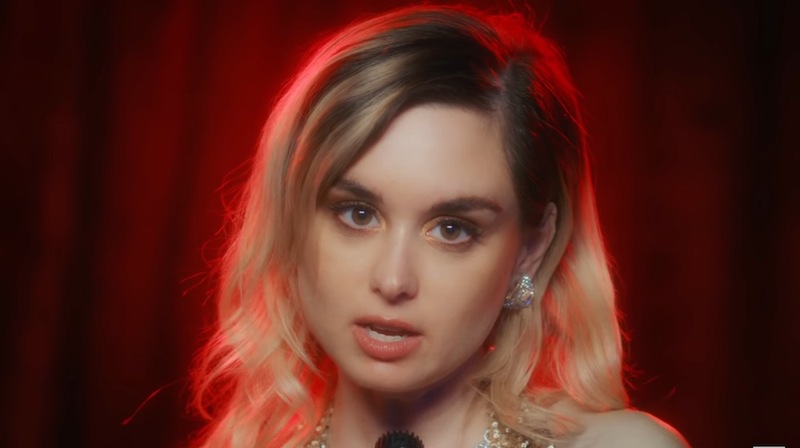 In “Terrified,” her latest collaboration with the band, Terror Jr. frontwoman Lisa Terror (who was initially rumored to be Kylie Jenner, when Terror Jr. debuted) taps into her inner lounge singer. 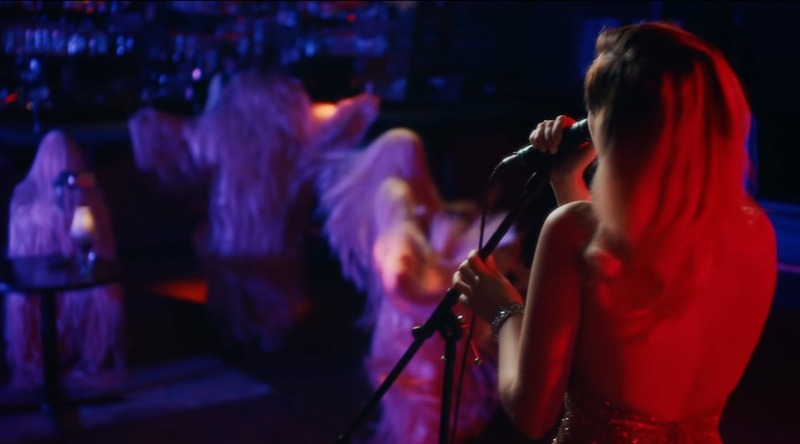 Dressed in a sequined gown and filmed by a mysterious furry being, Lisa sings directly to the camera, communicating the song’s eerie undertones through subtle glances and movements. Across all three videos, Millicent conjures up a compelling mixture of glamour and the bizarre: from the unsettling medical equipment in “Pretty,” to the hostage scenario in “Heaven Wasn’t Made For Me”. 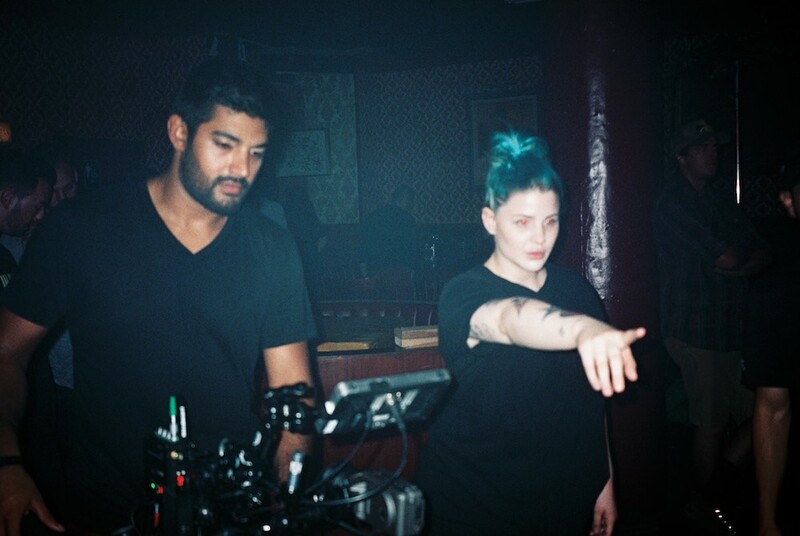 We can’t wait to see what this prolific music video auteur is going to bring to life next. 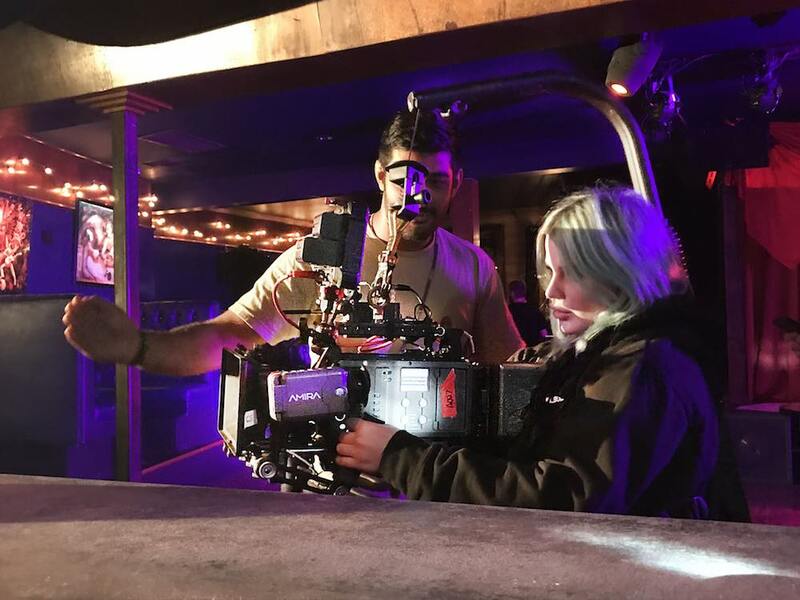 Millicent spoke with us about working with a movement coach to capture just the right performance from Lisa, rising to meet the learning curve for each new project, and carving out a space for her unique vision within the typically male-dominated sphere of rap and hip hop music videos. “Terrified,” the second of your two recent videos for the band Terror Jr., has just dropped, but you’ve worked with the band previously as well. How did you initially begin working with the group? I found a message in my DMs from one of the band’s managers, and from there had various phone conversations and meetings to get to know a working plan. After that the first time, I then worked with Terror Jr. on a photo shoot where we revealed the identity of Lisa – that was when the rumors were that Lisa was actually Kylie Jenner. What are some your favorite aspects of collaborating with Terror Jr.? Since I’ve met Terror Jr. a few years ago, it has been such a pleasure watching them craft a world of their own. They speak about modern culture, politics, and impossible beauty standards, and it’s very exciting to work with people who want to openly promote and share their views and values, no matter what. How do you, as a director, approach the task of translating the band’s trademark mysterious visual identity into a series of videos? I’ve come to interpret the band a little differently through each project, essentially letting the visuals grow and move with them. 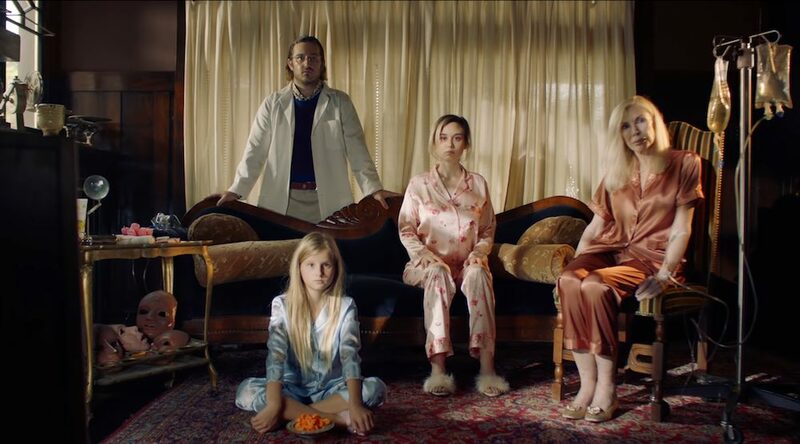 ‘Unfortunately, Terror Jr.,’ is dark, a little satirical, a little fluffy and light, but also political and mysterious, so finding the right visual story was exciting. Overall, I’d say each world has a touch of glamour – which we crash down in ‘Pretty,’ – and a feeling of ominous darkness or impending doom: David wielding his extra long needle, or the monster filming Lisa alone, perhaps for a sinister reason. We of course added in some little moments of surprise grape footage in the videos too. Is there an interconnected arc between the videos for “Heaven Wasn’t Made For Me,” “Pretty,” and “Terrified”? Not via the narratives, but visually they connect through each of their aesthetics and overall themes – gloominess, a little corruption, fear, delusion and derision, charm, allure, and of course a sprinkle of wit. Tell us a bit about your aesthetic reference points for these videos – what influenced their look? I loved that Lisa liked super glamorous aesthetics, but with a melancholy tone; her looks to camera, the way she tips her head down, but flicks her eyes up. We brought in a movement coach for her so we could really capture the best and most authentic movements – Lisa delicately, almost sensually holding the mic stand, swinging her hips to the beat. We really got down to the very essence of the song and went through the visuals with a fine-toothed comb, pairing them together as best we could. David – the monster – was my representation of love: something that is so big, so terrifying, so overwhelming. Love is watching Lisa, studying her every move (via camcorder) seeing how she copes. ‘I’m not afraid of love, I’m terrified’. What were some of the biggest challenges you encountered on set, while filming each of the three videos? I wouldn’t say there were particular ‘challenges’ we faced on set. I would absolutely always love more time – more time to build new worlds to add to the narrative. I usually get so swept away and want to keep adding and adding to what we are doing already. The location house for ‘Pretty’ had cats in it, so I was sneezing all day, and the dancing monsters on ‘Terrified’ had a bit of a hard time dancing freely with no eye holes. Other than that, I work with such an amazing producer that shoots usually are fun and stress-free – 0nly if the client and label are fun and stress-free too, though! Do you feel as though you’ve grown as a filmmaker during the timeframe in which these videos were made? Yes, of course. With each video comes a new learning curve, a new way in which to work, communicate or problem solve, so I feel like I’ve come a long way professionally in such a short space of time. I still have a ways to go, too! As a director who has had a prolific last few years, who are some of the other artists that you have had particularly memorable creative chemistry with? It’s usually artists that have mutual respect and want to make great and inspiring work; I can’t say all my clients are like that. Working in the hip hop/ rap genre, it’s a male-dominated world, so the storytellers for them are usually male. But having had the chance to gain a level of respect for what I do and show my work ethic and my integrity, some artists and labels are now giving me more of a chance to expand the narrative and include myself and my voice in the rap/ hip hop scene. I would say Young Thug is a great example of an artist that I’ve worked with that I had great chemistry with. I felt a certain level of respect for my craft from him which helped me to do my job and deliver the best piece of work I could to him. I think it’s also why we’re frequent collaborators – that respect goes both ways. What past videos are you most proud of? I’m always super proud of videos that I’ve worked on with brilliant and receptive clients. If the video content is great but the shoot experience was difficult or challenging for whatever reason, unfortunately, I feel like the project, in the end, is tainted and I’m not too proud of it. It hurts my feelings putting my heart and soul into work that, in this industry, is sometimes treated like fast food. I suppose that’s the nature of the beast. As I’m working more and more, I’m having the pleasure of being able to pick and choose clients, really work with artists I love, and create videos that, in my heart, are a success. I’d say that this applies to any of the Lil Yachty videos I’ve worked on, for sure, because he was such a pleasure to work with. 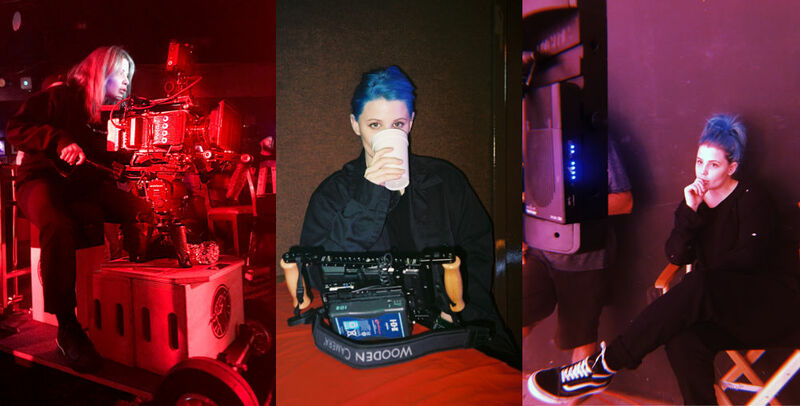 You were featured in last year’s LBBOnline coverage of a new wave of women directors who are making waves specifically within hip hop, a historically male-dominated space. What most appeals to you about the opportunity to direct in this genre, and what unique qualities do you bring to it? I love directing videos in this genre, mainly because I feel like I’m breaking rules and barriers down with every piece of new work that I produce. 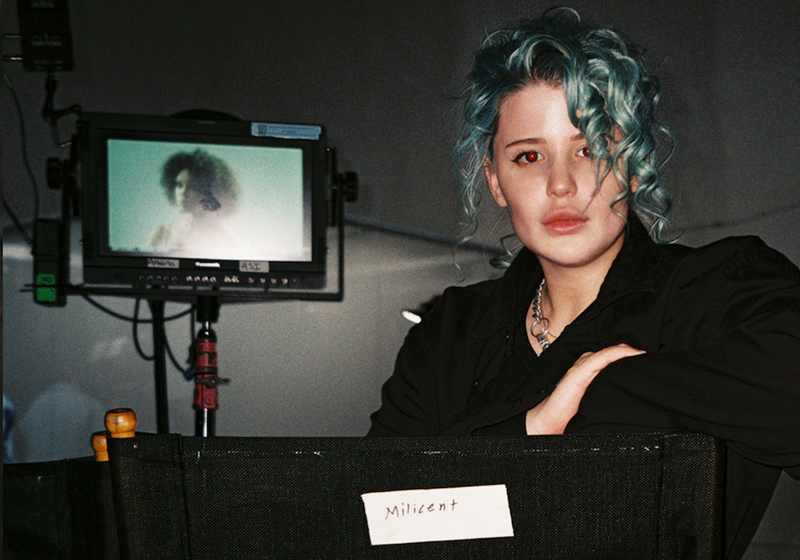 Female directors are now making their voices heard in this space and it’s an exciting time. We have a fresh perspective, and especially in this time and the climate we are living in, a woman’s voice is more important than ever. What would your dream commercial project be, if you had to choose? I’d love to work on more commercials and branded content to keep pushing the envelope with rap and hip hop artists. Something unexpected and a little challenging would be great. I try not to set specific work goals – I usually set myself personality and trait goals so this year my focus is to keep working as hard as I can and not slow down. To be a kind person and do my very best for others and to make sure my working team is always happy on set. Any final words of advice for aspiring filmmakers? Always work work work and you’ll be whatever you want to be. You can do anything you want if you put your heart and soul into it. Just keep going and keep working as hard as you can. And always carry a phone charger, a lighter and a pocket knife.